About two years ago I downsized pretty drastically from a four bedroom house to a two bedroom townhome. I was used to a big yard and plenty of room to put in flowers and a little garden. 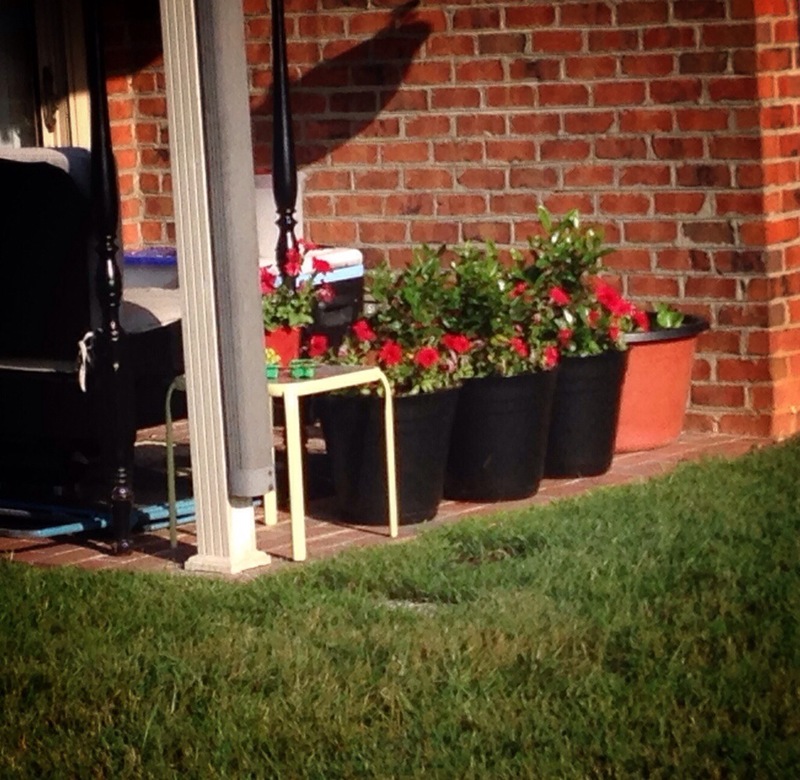 I moved into my townhome after a year of trying out a smaller house with a yard so my first year of downsizing still included mowing and planting and pruning. When I moved in here it was Fall so other than holiday wreaths each unit pretty much looked the same. 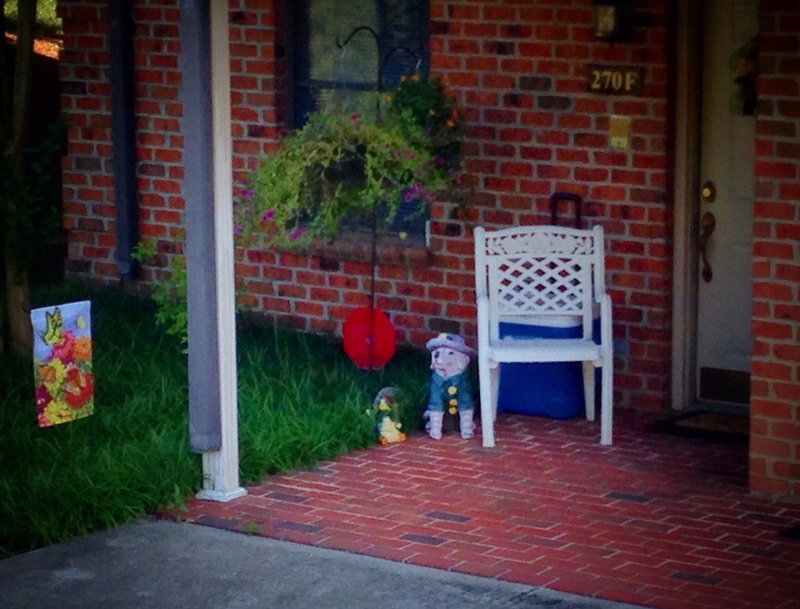 As Spring has arrived I have been enjoying seeing my neighbors create their own small gardens in VERY small spaces. Just for the fun of it I thought I would show you a few. Just know that this required some covert work during my evening walks with my dog. There are more that I would like to photograph but I’m not sure how my neighbors would feel about some strange woman taking pictures of their patio. 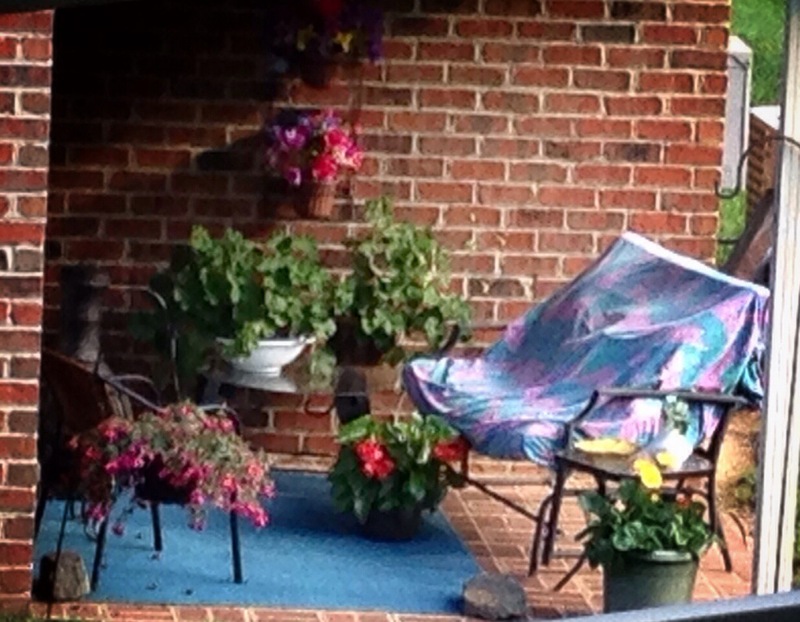 The photo above is of my neighbor’s back patio area two doors down. Evidently she has been here a few years and has quite the green thumb. 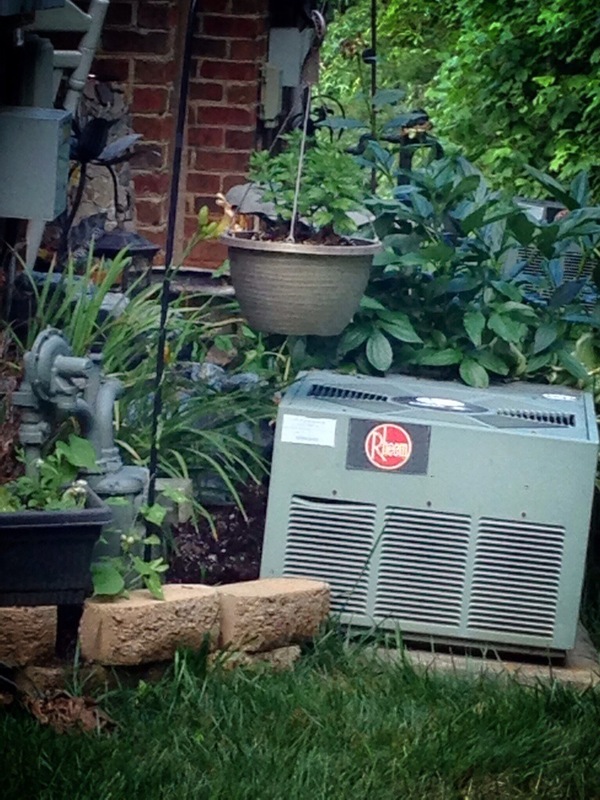 She has created a tiny garden of flowers around the AC unit, complete with a small retaining wall. 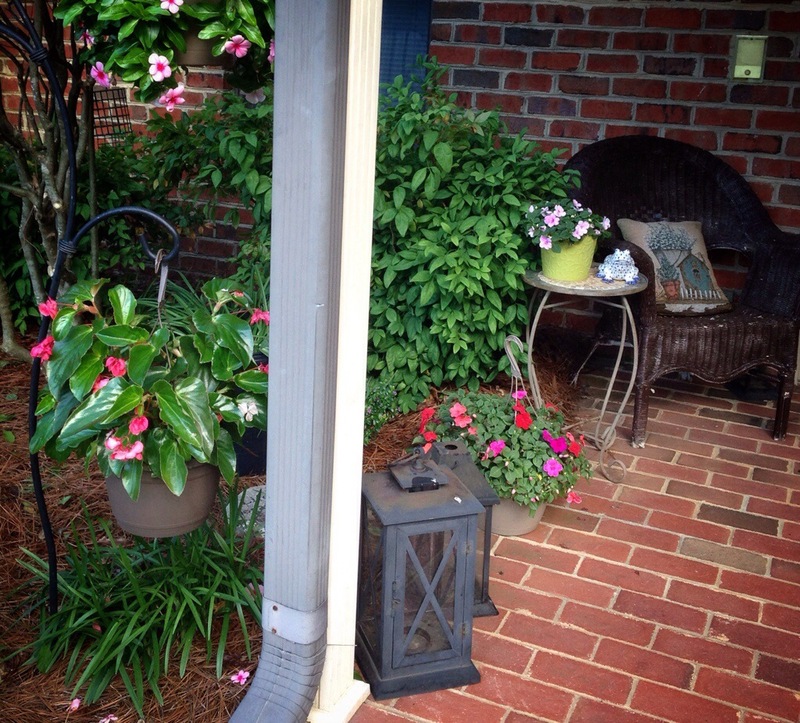 There are irises, peonies, cacti, day lilies and hanging baskets. It makes the trips out with my dog much more pleasant. The next picture is of the front of her unit. And last but not least is my tiny little patio. 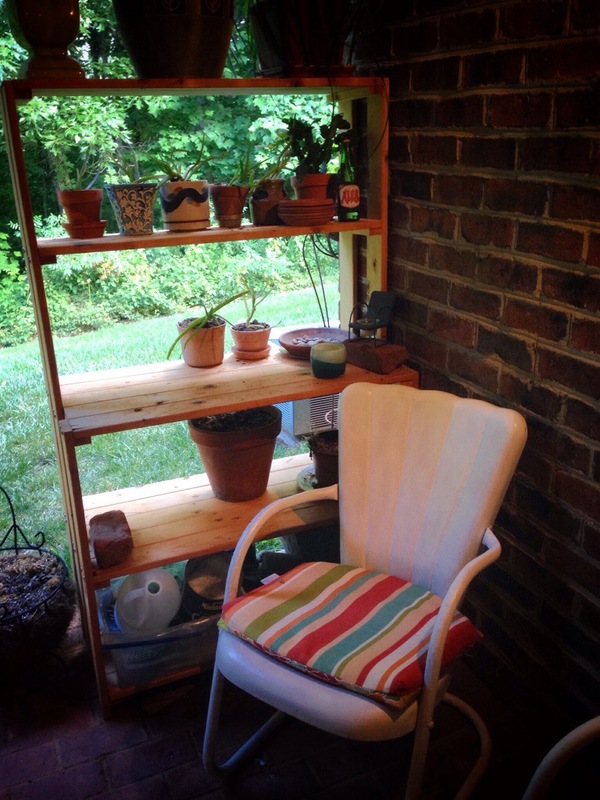 I have room for my two favorite vintage lawn chairs, a table, a grill and my shelves that I use for my plants, candles and a drink in the evening. It just goes to show that you can garden just about anywhere, use your creativity and and make your part of the world a little more beautiful.